Sydney's Fashion Diary: Seven Ways To Wear A Flower Pin! 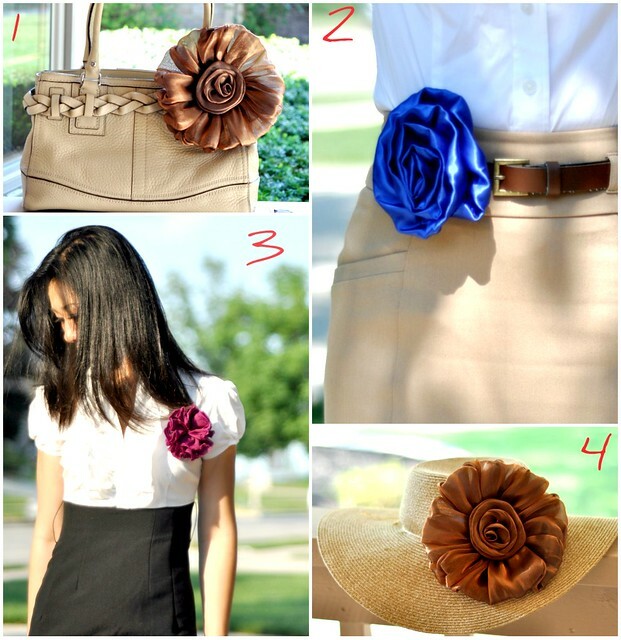 Seven Ways To Wear A Flower Pin! Accessories are just as important if not more so than clothes. I am a firm believer that the right accessories can glam up any outfit. Flower pins seem to be the hot trend right now. Wear them in your hair, pin them to your clothes, or update your favorite necklace. Sadly, I don't own one. The owner of Sproos has kindly offered to send over a few products for me to try. Since I am not a headband kind of girl, I opted for flower pins instead. 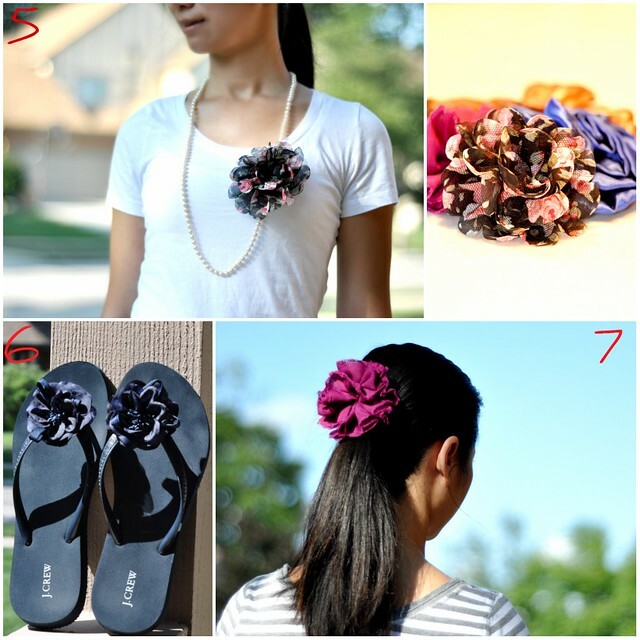 I did a little research and came up with 7 easy ways to wear a flower pin. I'm sure there are other ways that I haven't come up with. These are probably the most common ways to wear a flower pin. 4. You can easily personalize your basic straw hat with a flower pin. 6. Create a fancy pair of flip-flops by adding a flower pin to the middle part of your flip flop. 7. Of course, flower pin makes the perfect accessory for your hair. Since I am not going to use all these flower pins, I am giving away two of them. All you need to do is leaving me a comment to let me know which flower pin that you'd like to have (e.g. #1, #2, #3 or #5). I'll pick the winners tomorrow! Disclosure: I received these flower pins c/o Sproos. I will not be compensated for posting this review on my blog. I've never thought of pinning them on my shoes, cute! Super cute!! You've got me inspired :) I like #5! I really like #5! Thanks for the tips since I don't know how to accessorize at all! Cute! I've done #5 and it even works with vintage pins too. I love the flip flop idea! Thanks Sydney! Never thought of adding it to a hat! I totally have to try that now! Thanks, Sydney!! Very pretty! I love your pose in #3! You did an AMAZING job flaunting these flowers!! Such pretty lighting...just the right amount of shadows. Sproos was wise to choose you to review these! Love #3 and all of your ideas! You are so creative with these pins! I'd like #5! oh - great ideas, thanks for the inspiration! So many creative ways to wear a flower pin. I would have never thought of all these ways. I know the give away ended already but I love no. 5 and no. 7.